On Thursday, that same 4,300-horsepower machine left a suburban Houston railyard loaded with Bush’s casket for his final journey after almost a week of ceremonies in Washington and Texas. The train was to take him on a slow ride to his presidential library in College Station. Union Pacific originally commissioned the Bush locomotive for the opening of an exhibit at his library titled “Trains: Tracks of the Iron Horse.” It was one of the few times the company has painted a locomotive any color other than its traditional yellow. 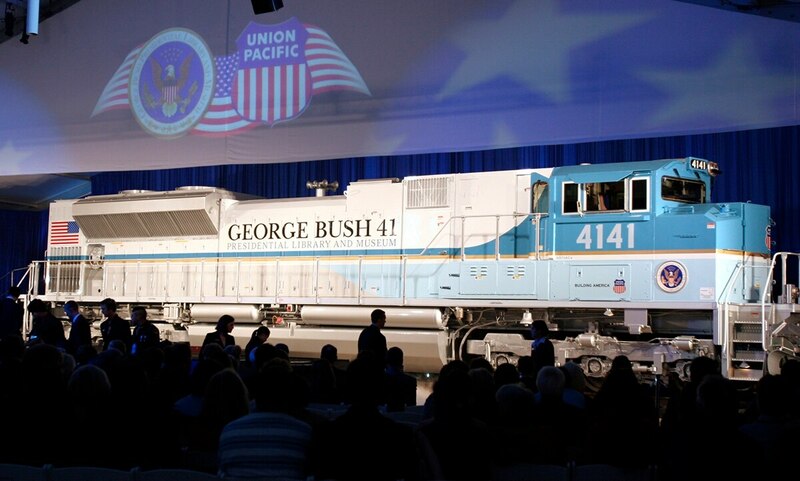 After a brief training session during 4141′s unveiling 13 years ago, Bush took the engineer’s seat and helped take the locomotive for a 2-mile excursion.